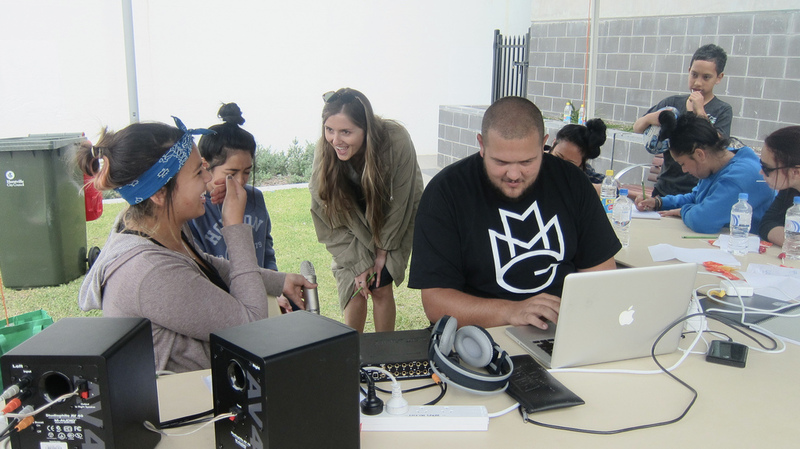 In the October school holidays Rowan and I spent 3 afternoons in Hurstville running some music and DJ workshops – and boy were we glad we did! 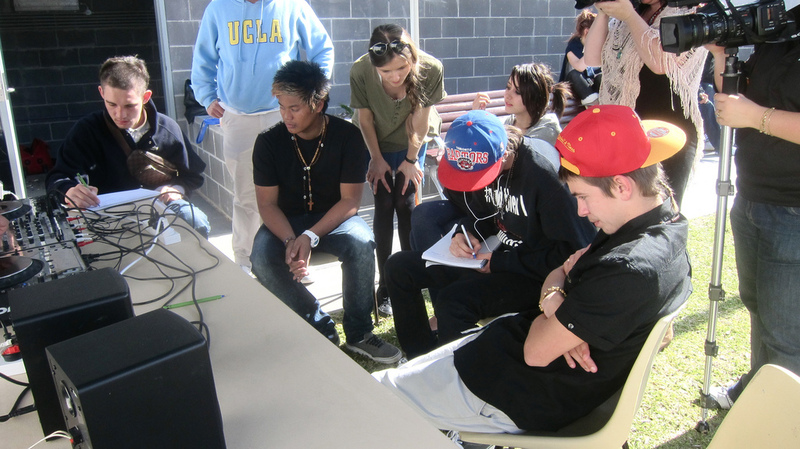 The workshops were put on with the help of Hurstville council and were open for anyone to walk by and join in. 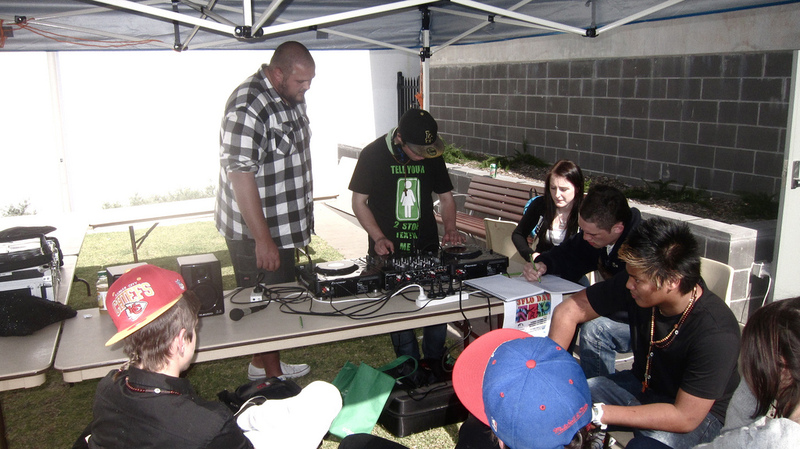 The first day we took along some decks and gave a demonstration on how to DJ, which resulted in a dance off/battle and myself MCing on the microphone (much to Rowan’s amusement). 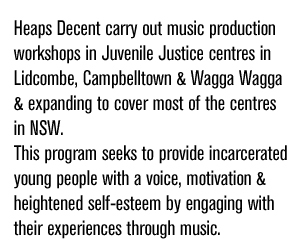 We soon realised though that there were some super talented young people hidden away in Hurstville, and so the following 2 days were spent creating in what has turned out to be 2 fantastic songs. In fact, the organisers of the workshops were so impressed they even asked if the guys involved in these 2 songs would perform at a Hurstville Council event – which they did – and killed it! 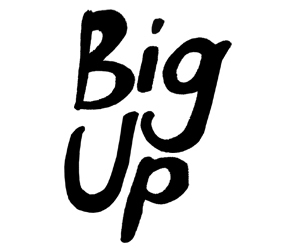 The stand outs featured on these two tracks are now making the trip to Homebase in Redfern weekly on Mondays, and have since been creating some fantastic music in the studio with other Heaps Decent facilitators. I cannot wait to see how they all progress over the next few months.